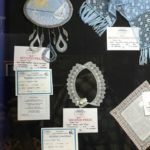 This is a folder of patterns of rather abstract pieces of bobbin lace, ranging in size from scarves through pictures to jewellery. It’s published by Verlag für die Frau, ISBN is 3-89798-144-0 and there are acknowledgements to several contributors but I couldn’t find an overall author/editor’s name. 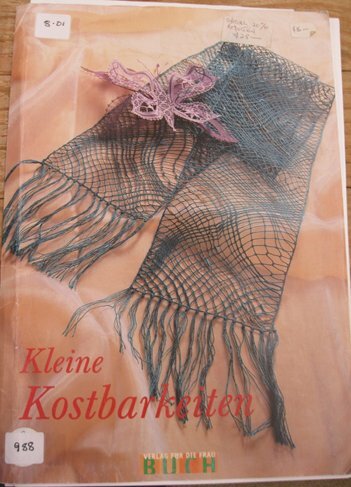 The instructions are brief and in German, giving threads, sources of threads and a couple of lines on the stitches to be used, with references to books. Available in ALG NSW Branch Library.